to show the love she has for you. . .
She always lends a helping hand. Who's loved more with each passing year. . . It's hard to describe the joy she brings. She's a wonderful blessing from above. . .
For, most of all, a grandmother is love. 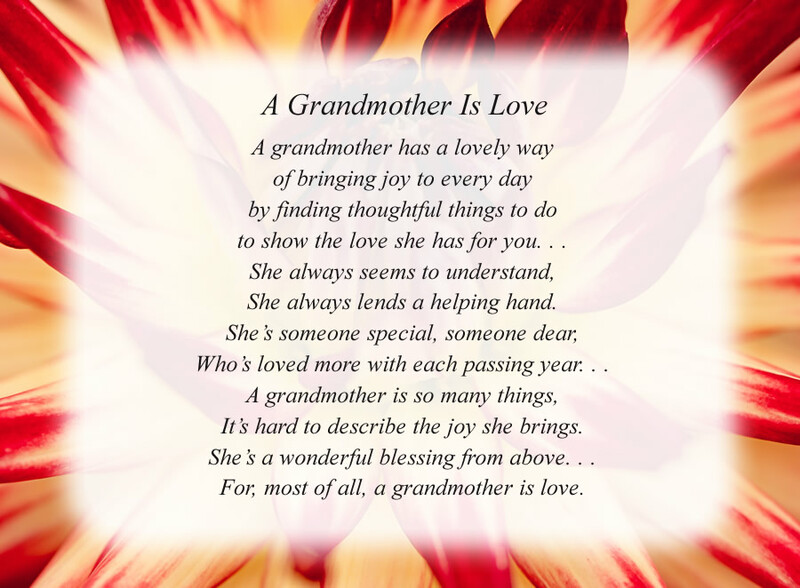 The poem, A Grandmother Is Love, is free and printable by opening or downloading using one of the three links below.